Catherine Lacey’s Nobody Is Ever Missing, reviewed. 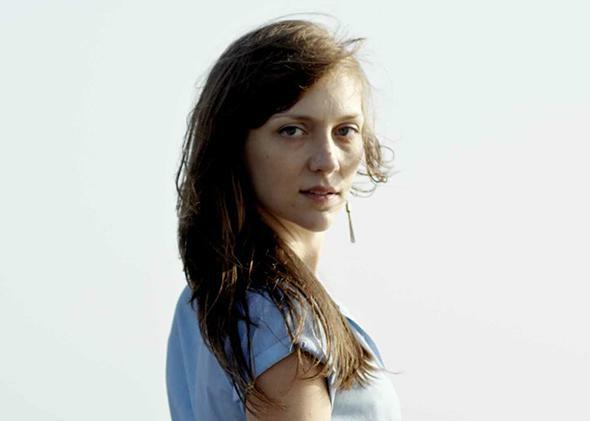 A woman leaves her husband for New Zealand in Catherine Lacey’s moving first novel. This, at least, is the polite way of departure. Then there is the way of Elyria, the young woman at the center of Catherine Lacey’s impressive first novel, Nobody Is Ever Missing, who takes the goodbye part of things to an extreme: She buys herself a ticket from New York to New Zealand and vanishes without a word to anyone, including her husband. No phone call. No email. No Post-It. But why? What has moved this woman with the stable Manhattan lifestyle—job writing for a soap opera, math professor husband, apartment on the Upper West Side—to live out of a backpack, sleep in sheds, and beg rides from strangers, to become a “human non sequitur—senseless and misplaced”? At first Elyria’s destination, if not her motivation, is clear: the farm of Werner, a poet she met at a reading she was strong-armed into attending in New York, who after a brief exchange left her with his address scrawled on a scrap of paper. Though Elyria doesn’t like poetry, something about Werner gives her “an odd comfort”; he writes about loneliness, possesses an infectious confidence, has offered her a room of her own. Once arrived at Werner’s farm, Elyria is content with her “new, tiny life of just a few words and few people.” As for Werner, he is intrigued until he isn’t, deciding eventually that Elyria is too sad to bear. Soon she is deposited at the side of the road, alone with herself, nowhere to go. And so, thumb out, Elyria continues to traverse the country, putting herself at the mercy of the elements and passing drivers, toiling at menial work in exchange for lodging, tolerating company but not courting closeness. Other characters—drawn by Lacey in quick, vivid sketches—are flashes on the canvas, as is the landscape, which Elyria, so stuck in the mire of her own thoughts, mostly ignores. As she wanders, her mind whorls and spills, but in Lacey’s hands these are controlled spills: She guides us seamlessly from present to past, revealing piece by piece the grievances and wounds that impelled Elyria toward flight. Have I mentioned that this book is a comedy? And it is funny, not in a zany way, but in the audaciously morbid way a Coen brothers picture is funny, or the way Six Feet Under was funny, all those people preoccupied by death able, in their daydreams, to break into joyous, hand-wagging song. I wasn’t sure if it was safe for me to be sharing time and space with other people, who all seemed so much gentler and safer and less of a secret to themselves than I felt I was, so I stood a considerable distance from the highway, backpack still on, a little shrub at my feet, and it seemed the shrub, too, had slept in a stranger’s backyard last night, and we stood by the highway both looking as if we’d been left here by accident, as if we were waiting for someone to remember us and come back and take us home, and I noticed the elaborate story I’d made for this little plant and wondered if I was just projecting a story of myself onto him, but the shrub and I just stood there, vague and waiting, until a car came and took me some miles from where I’d been. Troubled as she is, Elyria is no monster—she’s too humane, her compassion for others so intense as to be debilitating: “The bartender’s face was boyish and pained, so much so I felt like his mother when I looked at him, and it was unbearable to see him so unhappy. … This was not a convenient feeling to have when all I wanted was to order a sandwich and beer.” She may hate poetry, but she has the empathetic soul of a poet—the kind whose muse finds her not frolicking among wildflowers but brooding in seedy pubs. Early in the novel, remembering her sister, Elyria tells us: “I have never really stopped thinking of how the smartest person I knew had, after much thought, decided that life was not worth it—that she’d be better off not living—and how was I supposed to live after that?” What she cannot yet see is that her capacity to give a damn—about other people, about her own usefulness, about the obligation to live an authentic life—is as much a part of her nature as her tendency toward darkness, and it is the twinning of these qualities that will save her. The lesson she grapples toward in Lacey’s wise and dazzling novel is simple: You can travel to the ends of the earth, but you can never escape yourself. Nobody Is Ever Missing by Catherine Lacey. Farrar, Straus and Giroux.